Beautifully reproduced and cleanly presented, the four hundred images in this volume represent the finest work of a pre-eminent landscape photographer. The photographs are arranged chronologically into five major periods in order to convey Adams's maturation as an artist - from his first photographs in 1916 to his last great photograph in 1968. 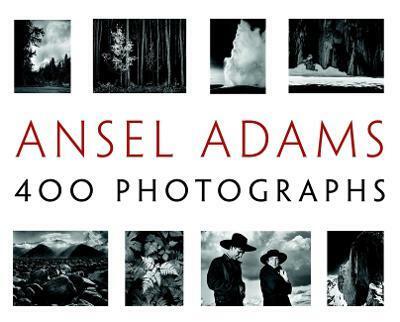 ANSEL ADAMS' 400 PHOTOGRAPHS is intended as a must-have gift and reference book for anyone who appreciates photography and the allure of the natural world. Few artists or photographers of any era can claim to have produced four hundred images of lasting beauty and significance. It is a testament to Ansel's vision and his prodigious output that a book of this scale can be justified, and it is a point of pride for Little, Brown to publish a comprehensive overview of the work of Ansel Adams in a single well-packaged volume. In a career that spanned five decades Ansel Adams was both America's foremost landscape photographer and an ardent environmentalist. His work has been published in a multitude of books, posters and calendars.